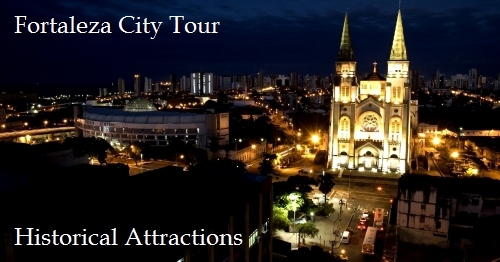 Take our Fortaleza City Tour on this webpage with a brief description of our most visited historical attractions. Our Fortaleza City Tour begins at the fortress for which the city bears it’s name “Fortaleza Nossa Senhora da Assunção," the centerpiece of our Capital city. Directly behind the fortress sits the public square "Passeio Publico" one of the most beautiful plazas in the city and the area where a few of the most significant historical events took place including the execution of the Ecuadorian rebels “execução da Confederação rebeldes do Equador.” Just across from the fortress, you will find the Metropolitan Cathedral of Fortaleza "Catedral Metropolitana de Fortaleza," designed in a combination of Gothic and Roman architectural styles. 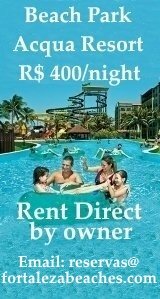 Reserve a Fortaleza City now! 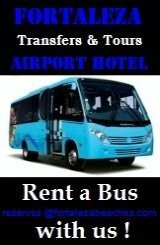 private or shared guided city tour with Fortaleza Beaches contact us ! 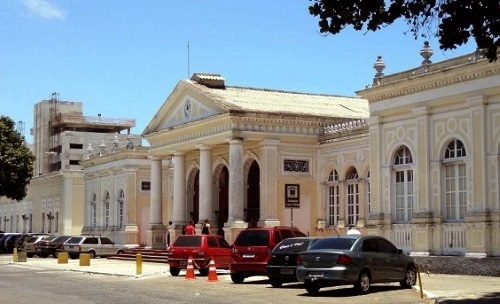 Be sure to visit the City Hall “Prefeitura Paço Municipal” and the former bishop’s palace ”Bosque Dom Delgado," located just behind the cathedral. There, you can see under a now open sky the few remaining parts of the Pajeú Creek “Riacho Pajeú," which runs through Fortaleza. 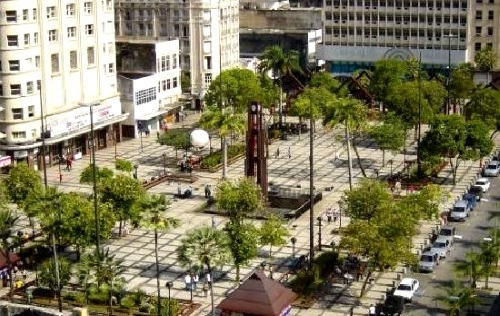 Next stop on our Fortaleza City Tour, the Ferreira Square “Praça do Ferreira” in the center of the business district, or what is generally called “O Centro” by the local residents. Here you will find the "Cine São Luis," built in art nouveau style, decorated in Carrara marble and crystal chandeliers; it is considered one of the most beautiful theaters in Brazil. From the Ferreira Square, walk north to Rua Major Facundo, where you will find the house of Dr. José Lourenço “Casa do Doutor José Lourenço.” This building is a rare 19th Century three story architectural structure which IS the former home of the doctor. The Fortaleza cultural center is now located on this site. 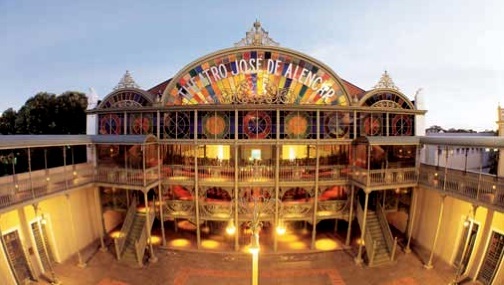 From Ferreira Square, walk west to the "Teatro José de Alencar" built on the street of the same name. This theatre remains active with concerts and performances year round. Walk a few blocks further north toward the old train station, “Praça da Estação,” where the João Felipe Train Station "Estação Ferroviária João Felipe” is located. In the past, the trains brought millions of immigrants from the countryside to the capital. 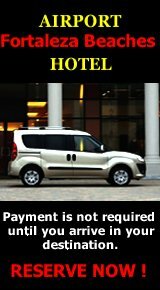 It is open to visitors 7 days a week from 06:00 to 22:00 hours. As an historical site it is no longer a working part of Fortaleza’s public train system with its new metro. To the east side of the station you will find the old prison “Cadeia Pública” which today has been transformed into a tourism center with vendors selling handicrafts and souvenirs. There are some parts of the old prison remaining, including the old jail cells that have become stalls for the merchants. 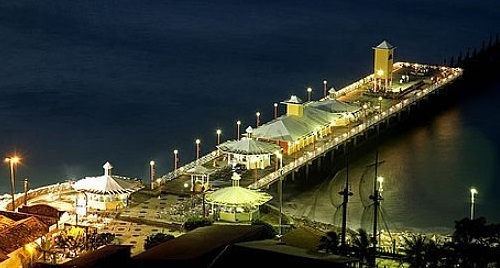 In the late afternoon walk back past the fortress, the Public Square and Mercado Central along the beach "Praia de Iracema" to the English Bridge “Ponte Ingleses”. 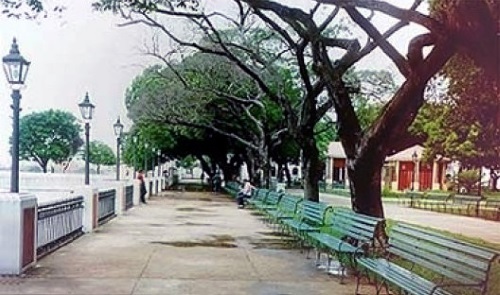 A popular Fortaleza post card, the bridge served as the old port of Fortaleza and where immigrants disembarked arriving from other regions and countries. The bridge survived in a state abandonment during most of the 20th century but has been recently restored in the 1990s. Today it is one of the most popular places to enjoy the sunset and Fortaleza‘s skyline. It’s not unusual for dolphins to swim by in the early morning or late afternoon. 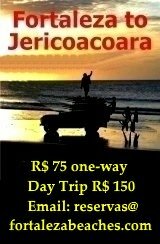 book private city tours with Fortaleza Beaches.